My "seeds of faith" | Oh Sarah O ! 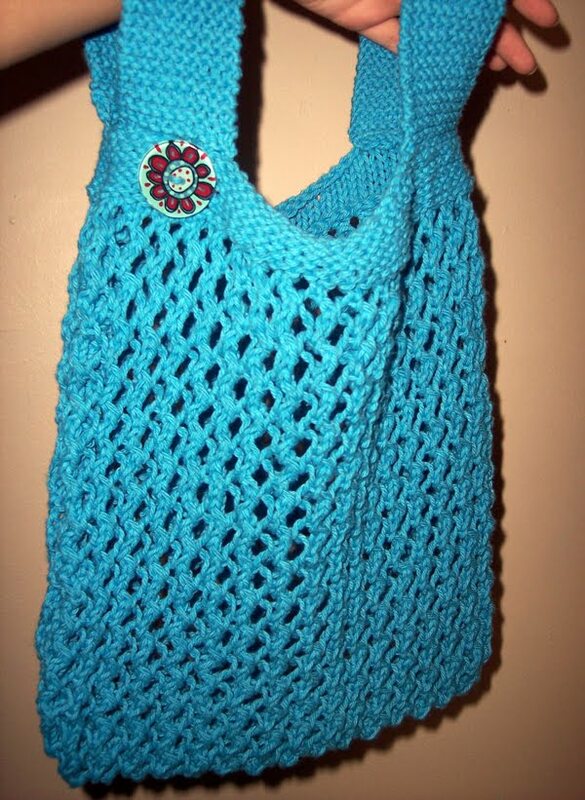 So, previously I told you all that I've been crafting up a storm for my mom's church knitting group, Knit Pray Crochet. Here's what I've been up to. No group would be complete without a sign, so I made out group a sign. 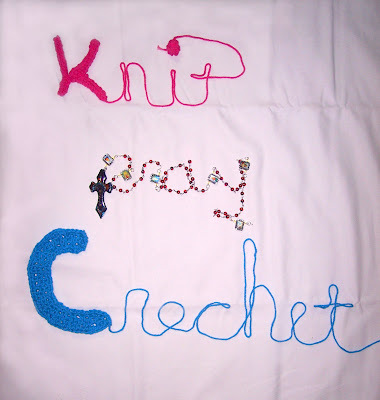 The K is a knitted I-cord that I stitched together. I beaded the word "pray" using a beading kit I purchased from Wal-mart, red glass beads and religious iconography, and this tutorial on Youtube. And I used this crochet pattern for the letter C.
I also decided that our table would need some added visual interest, so I stitched up a flag bunting similar to the one I made last year. Then I made this sweet Knecklace using some white Yarn Bee Enchantress yarn from Hobby Lobby with sequence in it. 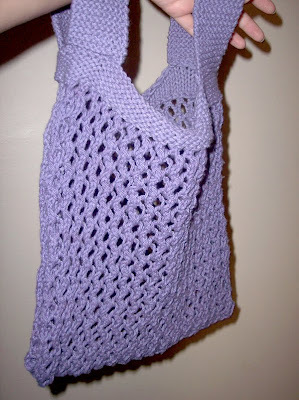 I made 2 tote bags loosely based off of the Elisa Nest Tote pattern. I embellished a pair of flip-flops with Lion Brand Fun Fur Yarn utilizing the Fuzzy Flip Flops pattern. They kind of remind me of Cruella Deville. And I knitted up 2 Not-Your-Average-Washcloths using some cotton yarn my mother had.